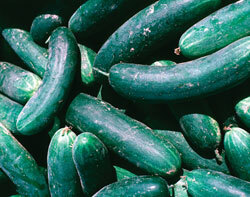 In the morning, a greengrocer puts 200 kilos of cucumbers outside his shop. There is 99% water in the cucumbers. It's a hot day and in the evening, the percentage of water has gone down to 98%. The question is: how much is the total weight of the cucumbers in the evening?